The below is a satirical April Fool’s Day story. Positioned some 3,500 kilometres off mainland Chile in the Pacific Ocean, the 164-square kilometre Easter Island experienced a sharp drop in population sometime between 1400-1700 as the native Polynesians began cutting down trees en masse to help transport the famous stone moai statues that dot the island. 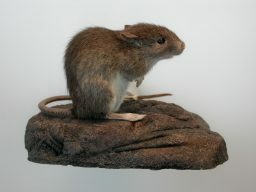 Rats, thought to have hitched a ride to the isle with the first Polynesian settlers, also are believed to have played a supplementary role in the population collapse by eating seeds – further decimating the ecosystem after the widespread deforestation eroded topsoil and stunted agricultural production. 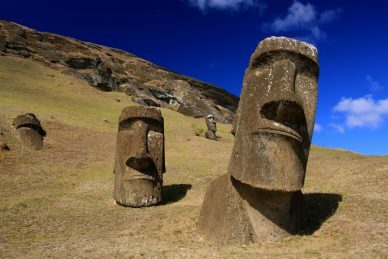 Once thought to have sustained a large population, by the 1700s the number of Easter Island residents had dropped to an estimated 2,000-3,000. Leaked documents obtained by Climate Home News last month also showed that Schmidt had unsuccessfully petitioned the UNFCCC to host the annual talks in Jan. 2020, rather than later this year, as the country is also home to the Asia-Pacific Economic Cooperation (APEC) summit this November. Initially slated to take place in Chile’s capital, concerns have mounted about overcrowding, transportation emissions from delegates travelling to and from the conference, and the fact that COP25 will coincide with the end of the financial and academic years, as well as coming a few weeks before Christmas. Further complicating matters, Santiago’s only venue large enough to host the summit is booked during the scheduled Dec. 2-13 conference period, which in the end prompted the Chilean government to make the move to Easter Island, which is roughly a 5.5-hour flight from the capital. Offsets will also be offered for COP25 attendees via a new methodology aimed at slashing emissions by culling the island’s invasive Polynesian rats, which emit methane levels similar to cows. The programme’s design was based on efforts by the Australian government earlier this decade to incentivise the killing of feral camels to curb their climate impact. Local carriers, which operate the only flights to and from the island, are understood to have jacked up their ticket prices as a result of the announcement, quoting nearly £16,000 (€19,000/$21,000) per person for a return trip from Santiago during the summit. Some more details about the Chilean government’s decision to choose Easter Island as the COP25 host site can be found by spelling out the two words formed using the first letter of every paragraph in this story.